1. Log into your Name.com account and click on the domain name. 2. 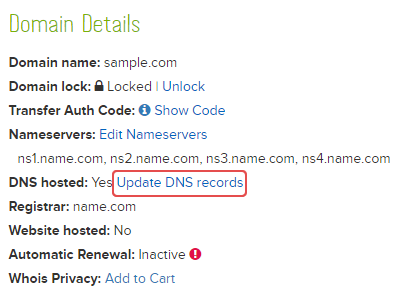 Click the Update DNS records link. 3. You may either edit A record or add a new one. 4. After finishing click the Renew Domain button from the top.